New Farm Machinery magazine issue 17, January 2015 will be on-sale from December 29. It has smashed the world record for most wheat harvested in eight hours but how will the New Holland CR10.90 combine fare on Australian soil? Tom Dickson finds out. It wasn't too long ago that Agrifac started importing its sprayers into Australia. Tom Dickson checks out the Condor sprayer and thinks it has serious potential to take off in Australia. Matt Wood takes a squiz at the Hardi Presidio, the compact, lightweight self-propelled baby of the Hardi range. Winning several major awards in just four years since establishment is no easy feat but citrus producer Seven Fields has done just that. Anna Game-Lopata visited the company's Mildura premise to learn more about its operations. Dr Graeme Quick offers his exclusive research findings on harvesting soybeans. 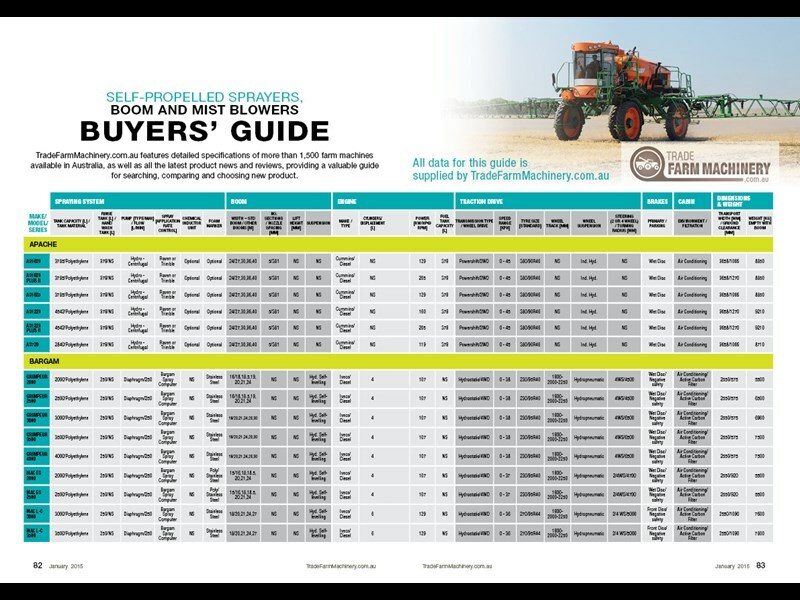 Our 24-page buyers guide has everything you need to know about self-propelled and boom sprayers currently available on the Australian market. 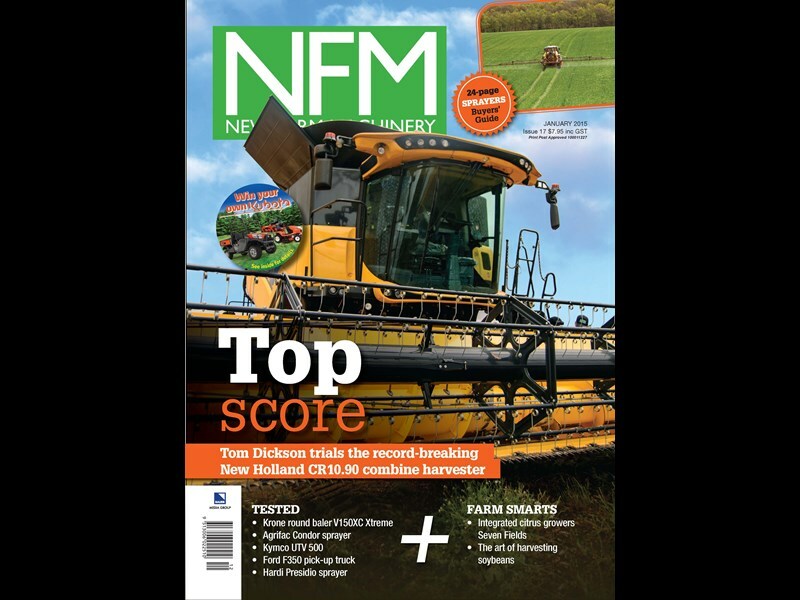 The first NFM issue for 2015, on-sale December 29, features an in-depth look at the record-breaking New Holland CR10.90 combine and the Agrifac Condor sprayer from the Netherlands. 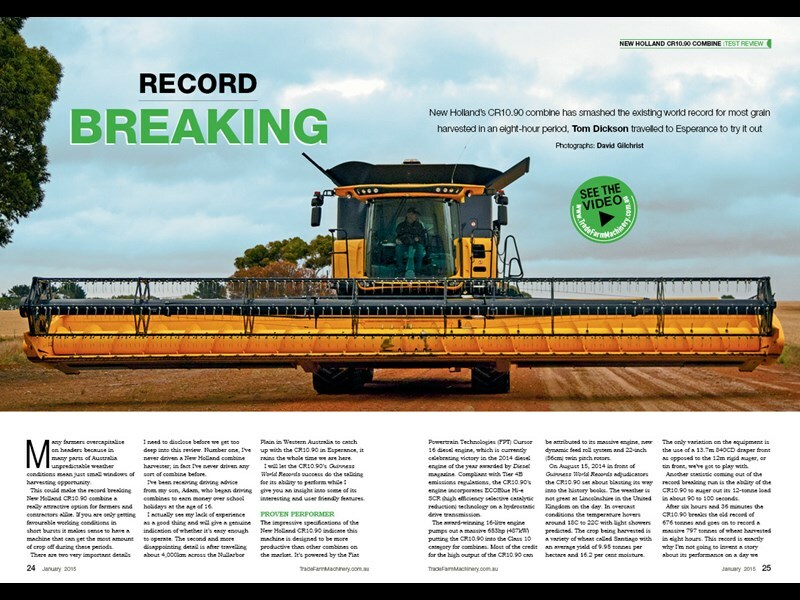 After hearing about its record-breaking feat several months ago, NFM tracked down the one and only New Holland CR10.90 combine harvester unit in Australia and sent machinery expert Tom Dickson to have a closer look. Agrifac is not exactly a household name in Australia but Tom Dickson reckons that could very well change in the near future. The Netherlands based ag-machinery manufacturer has just started bringing its Condor sprayers into Australia in recent years and is currently making its way around the country doing demo-runs and field day appearances. 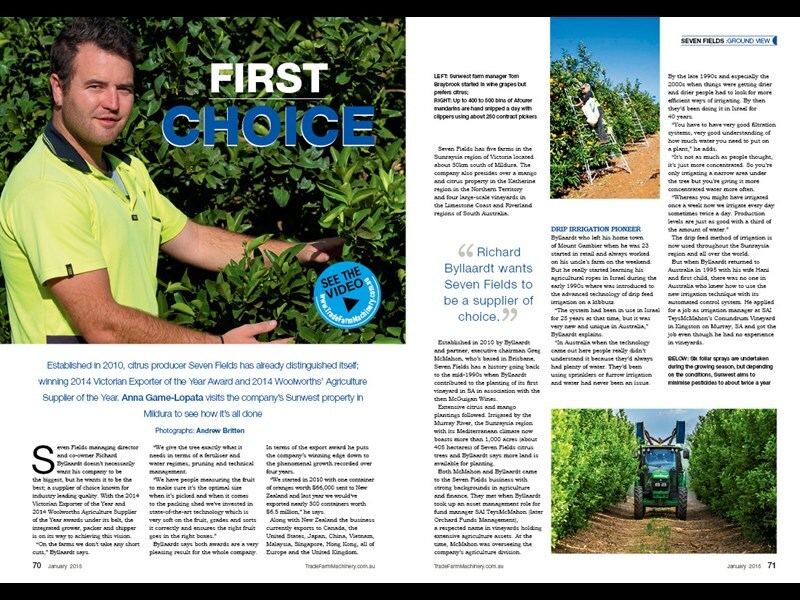 Citrus producers Seven Fields is in the business of raising the standing of Australian fruit in the eyes of the world with its top quality fruit. Established in 2010, the integrated grower, packer and transporter has already won 2014 Victorian Exporter of the Year and twice been named Woolworths’ Agriculture Supplier of the year. Anna Game-Lopata caught up with managing director and co-founder Richard Byllaardt to find out how it’s all done. Watch the video interview. Col Jackson speaks to another entrepreneurial exporter Tim Reid of Tasmanian-based Reid Fruits whose operation presides over some of the biggest cherries Jackson says he has ever seen — rich rosy red, plump and exploding on the taste buds. Under his guidance and leadership, Reid Fruits has become one of Australia’s biggest cherry producers, exporting to more than 20 countries. Read the exclusive feature in this issue. 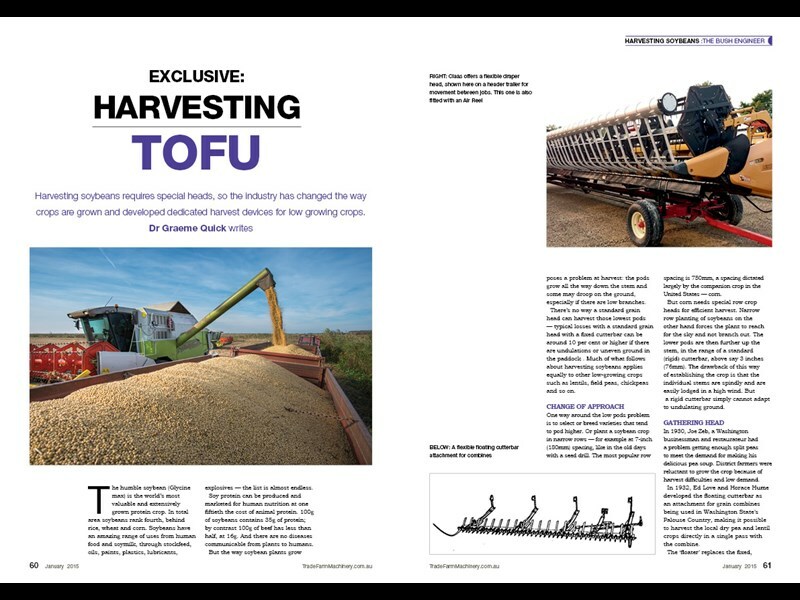 Machinery guru Dr Graeme Quick offers his exclusive research findings on harvesting soybeans and relates the history of mowers. 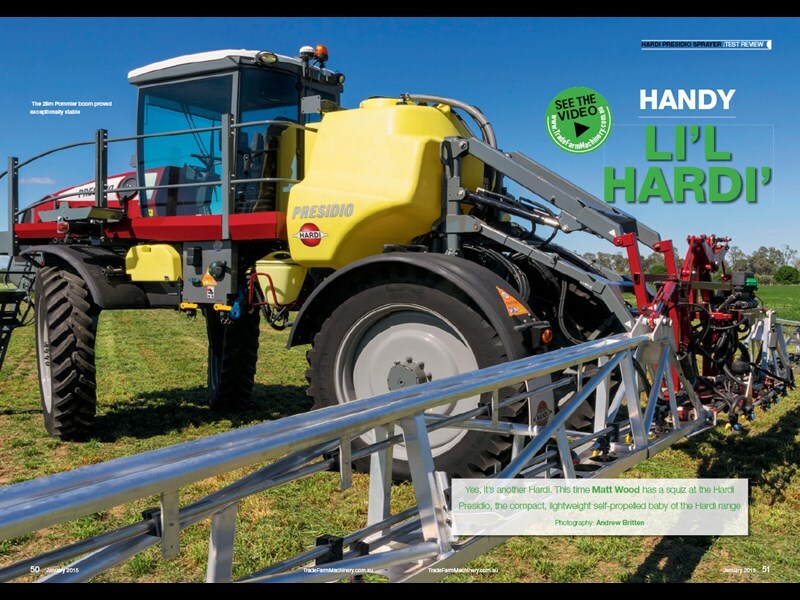 Last but not least, we make light work of your sprayer research by offering a 24-page buyers guide featuring full specifications of all self-propelled and boom sprayers on the Australian market in this issue. 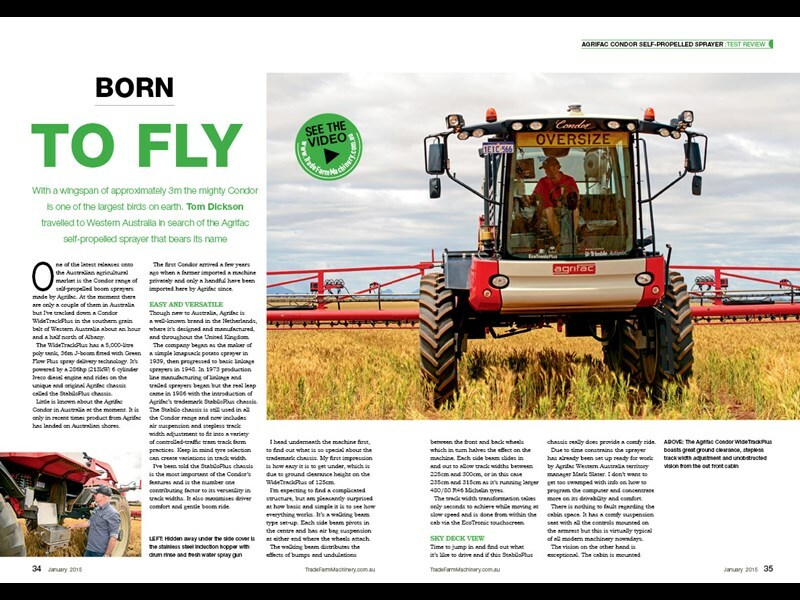 Don’t miss this jam-packed edition of New Farm Machinery magazine! Subscribe now to never miss an issue.